They are one of only a few clubs in the top seven tiers of English football to hand out free season tickets, they have a midfielder who has played against Luka Modric, and five years ago they attracted a crowd of just 17 (seventeen) to a league match. 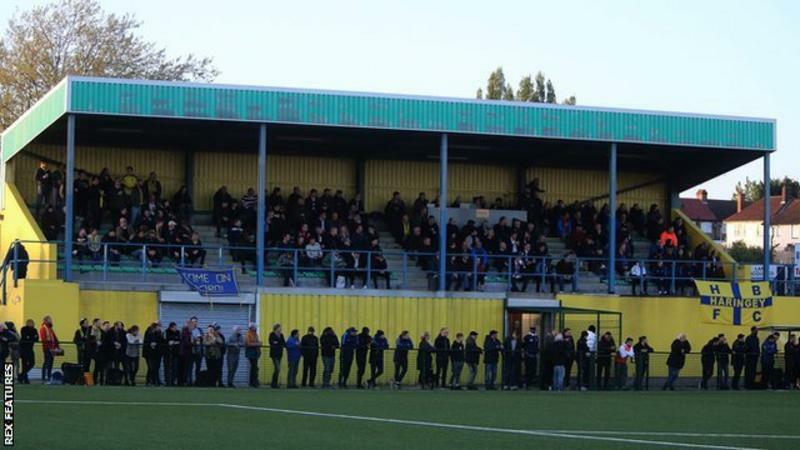 On Friday, Haringey Borough will host a club record crowd of around 2,500 as the non-league team look to spring an FA Cup first-round shock by knocking out AFC Wimbledon, who play four leagues above them, in a match to be shown live on BBC Two. Located on White Hart Lane, just over a mile from where Tottenham's booming 62,000-seater stadium is taking shape, Borough's Coles Park ground has a main stand with 270 seats. The only team surviving from August's preliminary round, Haringey have already created club history by reaching this stage for the first time. Their run includes a 97th-minute winner at Brentwood Town in the first qualifying round and coming from behind in three of their five games. In doing so, the Isthmian League Premier Division club have earned £57,890 in prize money - a huge amount for a part-time club who cannot afford to pay a wage to all their players. "We've got a few contracted players - the rest are on expenses which covers things like petrol money and buying a pair of boots," said Tom Loizou, in his 11th season as Haringey manager. "Even the contracted players are on a bare minimum when it comes to wages." On 26 February 2013, Haringey entertained Biggleswade United in the ninth-tier Spartan South Midlands League Premier Division. There were more players on the pitch than people who paid to watch. Having spent around £1m on ground improvements, including a new 3G pitch, Borough took the bold decision to give away free season tickets in the summer of 2016 - despite requiring £140,000 a year to keep going. "We'd spent all this money on a new stadium and had nobody to watch us," Aki Achillea, a criminal defence solicitor and chairman of Haringey for the past 14 years, said. "I banked on the fact anyone with a free season ticket might buy food and drink." The giveaway has been such a success that it remains in place today. Borough's average league attendance has jumped from 58 in 2015-16 to 262 this season, and manager Tom Loizou said: "We have one of the fastest growing fanbases in the country." 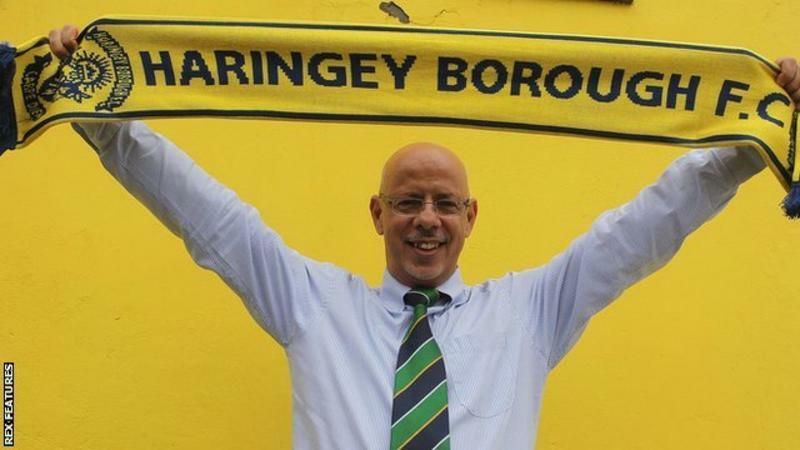 With little in the way of gate receipts, however, Haringey have had to be resourceful in terms of raising income. The club receive a rent for hosting a car boot sale three times a week, while finances are also boosted by hiring out their £500,000 synthetic pitch during the week. "A few years ago we couldn't even get a sponsor, people just laughed at us," 58-year-old Loizou, a former Leyton Orient caretaker manager, added. "Now we've got a van hire company who are in White Hart Lane. Instead of cash, they have given us a mini bus to get the team to away games. We can't afford a coach to every away match." Four years ago Georgios Aresti was rubbing shoulders with the likes of Modric, Mario Mandzukic and Dejan Lovren. The central midfielder, born in Limassol, made his one and only start for Cyprus in a 2-0 friendly defeat in Croatia in September 2014. Four months earlier he had come up against then-Manchester United midfielder Shinji Kagawa when he appeared as a substitute against Japan in front of 58,000 in Saitama. Aged 24, Aresti is a veteran of almost 100 top-flight Cypriot games - including 43 at Ethnikos Achnas where he was on a £40,000-a-year contract - and joined Haringey towards the end of last season before re-signing in July after a trial at Barnet ended without an offer. 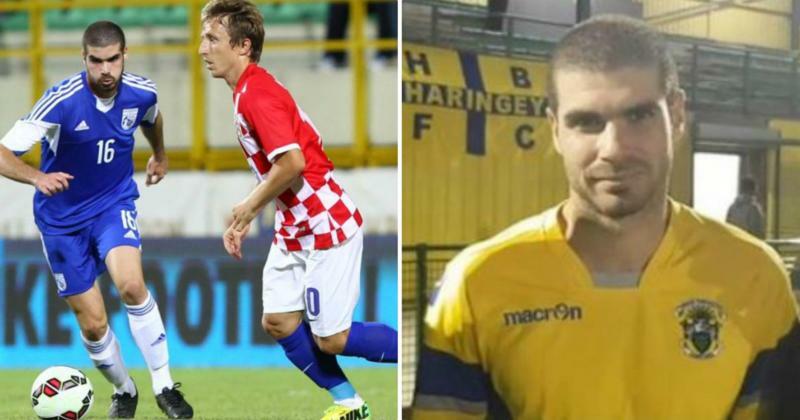 Desperate to earn a living playing professionally in England, the former AEK Athens player hopes his performances for Haringey, where he picks up around £100 a game, will lead to greater things. In September, 18-year-old Haringey defender Themis Kefalas signed a one-year deal with Championship club Queens Park Rangers, and Aresti hopes to follow a similar path. "I want to progress my career and I think I can do it," said Aresti, who scored in the 3-2 win at Brentwood Town in the first qualifying round. "Haringey is a small club in a small league but there are lots of scouts that come to our games." Despite only being at Haringey for a short time, Aresti has already established himself as a cult figure with fans. "He makes goals and sees things other players at this level can't see," added Achillea. "Our fans love him and sing 'George Aresti is a gift from the Gods' at games." Achillea, too, is popular with Borough fans. One banner reads "The People's Republic of Haringey Borough. Vote Aki Achillea Prime Minister!" Haringey's team also includes Michael O'Donoghue, a 22-year-old defender who has played in League One for Colchester United, midfielder Rakim Richards, who works for the Tottenham Hotspur Foundation and Michael Ademiluyi, a former Southend United youth forward who has recently worked in security at The Oval cricket ground. Meanwhile, Portuguese midfielder Jorge Sambu is hoping to make an impression against Wimbledon after recovering from a work injury. The 27-year-old refuse collector for Kensington and Chelsea London Borough Council missed the start of the season after damaging his knee while trying to empty a bin. "My knee just gave way and I only started playing again last month," said Lisbon-born Sambu, who is in his fifth season at Haringey. "I came to London to live with my mum at the age of 14. At first I used to beg her to go back to Portugal but she said it's a better life for us here. I love London now. "I've had two promotions with Haringey and I've had an offer to sign for a team in a better division this year. "I chose to stay at Haringey because I don't think I will find another team like this. We're a very close-knit group and we look after one another." Above the bar in Haringey's six-year-old clubhouse is a sign that reads 'White Hart Lane N17'. 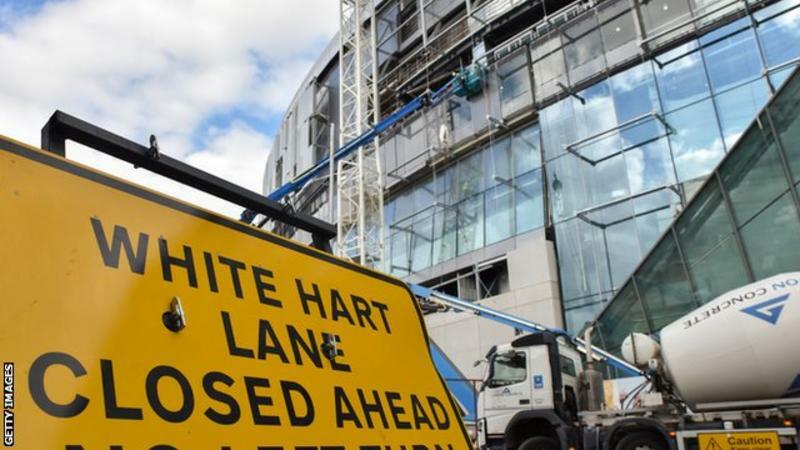 It was paid for by Loizou, who says: "There's only one senior club on White Hart Lane - and it's not Spurs. Their official address is High Road, Tottenham." Achillea has been a Tottenham season ticket holder for 30 years and travelled to the Netherlands in October to watch them against PSV Eindhoven in the Champions League. One of his ambitions is to get Spurs boss Mauricio Pochettino down to watch Haringey. Another is to see Tottenham Hotspur Ladies, who currently play in Cheshunt, groundshare at Coles Park. "Spurs Ladies playing on White Hart Lane would be fantastic," he said. Borough have a women's team of their own. Long-serving Haringey secretary John Bacon often acts as an assistant referee at their home matches in the Eastern Region Women's Premier Division - at the age of 80. Former Haringey players include Ricky Otto, later a Birmingham City winger, and Leon Rolle - also known as DJ Locksmith. 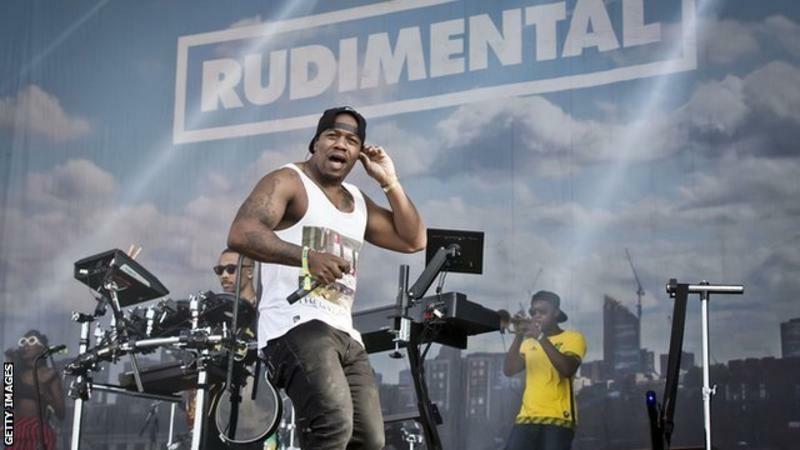 Rolle, who was Borough captain, Kesi Dryden and Piers Aggett were all registered with Haringey before helping launch Rudimental, the drum and bass band who won British single of the year at the 2014 Brits. "When I first took over they were in the process of forming a band and playing football for us," added Loizou. "They weren't famous at the time and I didn't take a lot of notice of them. It's not my kind of music. If it had been Frank Sinatra playing centre-half it would have been very different!" Meanwhile, British singer-songwriter Emeli Sande turned up in 2015 to watch Haringey win promotion from the Essex Senior League and even wrote a message on Facebook after her visit to Coles Park. Eight years ago, Ben Corbyn, son of Labour leader Jeremy, managed Haringey Borough's under-18 team. Man City Football Leaks allegations?